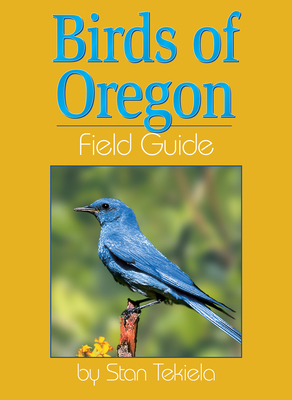 Make bird watching in Oregon even more enjoyable With Stan Tekiela's famous field guide, bird identification is simple and informative. There's no need to look through dozens of photos of birds that don't live in Oregon. This book features 130 species of Oregon birds, organized by color for ease of use. Do you see a yellow bird and don't know what it is? Go to the yellow section to find out. Fact-filled information, a compare feature, range maps, and detailed photographs help to ensure that you positively identify the birds that you see. Naturalist, wildlife photographer and writer Stan Tekiela is the author of more than 175 field guides, nature books, children's books, wildlife audio CDs, puzzles and playing cards, presenting many species of birds, mammals, reptiles, amphibians, trees, wildflowers and cacti in the United States. With a Bachelor of Science degree in Natural History from the University of Minnesota and as an active professional naturalist for more than 25 years, Stan studies and photographs wildlife throughout the United States and Canada. He has received various national and regional awards for his books and photographs. Also a well-known columnist and radio personality, his syndicated column appears in more than 25 newspapers and his wildlife programs are broadcast on a number of Midwest radio stations. Stan can be followed on Facebook and Twitter. He can be contacted via www.naturesmart.com.